Nothing says gnocchi like… lettuce wraps. Wait, what?! 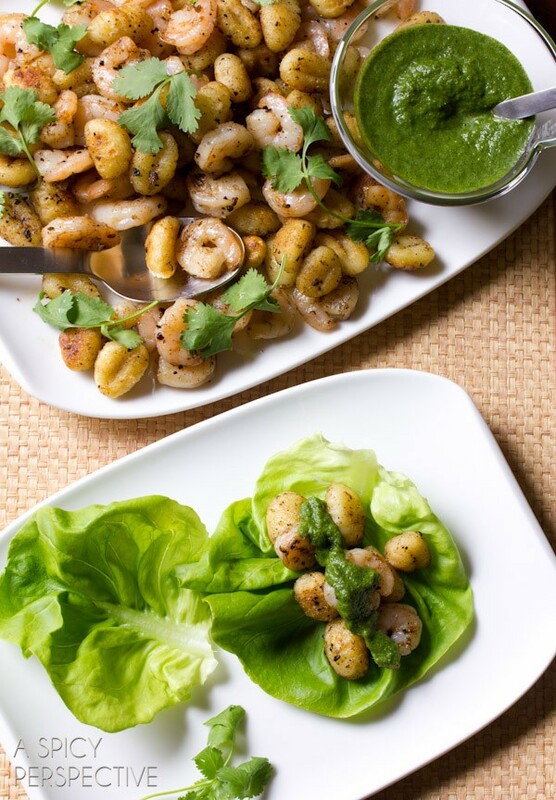 Ok, so a lettuce wrap recipe isn’t exactly what you think of when you plan to make gnocchi, but maybe we need to change that with Shrimp and Gnocchi Lettuce Wraps. I’m having such fun playing mad scientist in my new kitchen; it makes me think of my oldest brother. Growing up, Kevin was the experimental cook in our family. While the rest of us learned mom’s recipes to-a-tee, Kevin was whipping up his own creations. As siblings do, we always teased him for this. His concoctions weren’t the prettiest dishes, so we often refused to try them, but at least he was adventurous. Now that I look back, I bet some of the things he made were pretty darn good. Over the years I’ve learned that part of what makes cooking fun is taking ingredients that don’t normally go together and creating something new and exciting. I particularly love doing this with pasta. I mean really, what doesn’t go with pasta? It’s so easy to create delectable dishes with any variety of noodle. 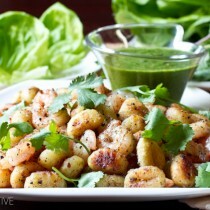 Today I’ve got a lettuce wrap recipe that combines shrimp and Delallo gnocchi! These perfect little pillows of carby goodness are a lovely surprise wrapped in a crisp lettuce leaf. I quickly sautéed the shrimp, then gave the gnocchi a little sear to provide texture. Honestly, what could be better than little balls of potato dough, crispy on the outside, but soft and moist in the middle? Shrimp and Gnocchi Lettuce Wraps are like putting tiny Asian dumplings inside the lettuce wraps. These crispy little potato dumplings are a beautiful pairing with the garlicky shrimp, smothered in spicy serrano mint sauce. It gives the lettuce wrap so much contrast. Cool. Crisp. Herby. Spicy. Moist. Tender. Mmmmmm. The addition of gnocchi in this lettuce wrap recipe makes it so much more than an appetizer. 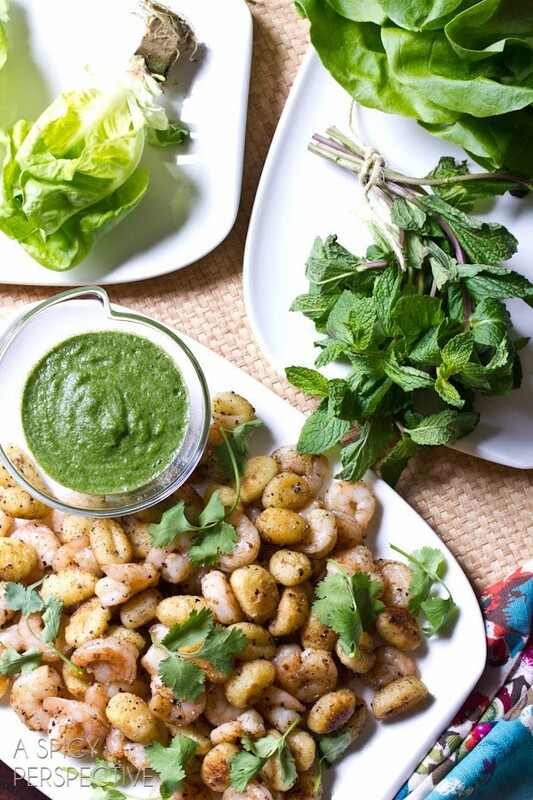 Shrimp and Gnocchi Lettuce Wraps could be dinner, appetizers, or lunch. Bring a large pot of salted water to a boil. Cook the gnocchi according to the DeLallo package instructions. Drain and set aside. Meanwhile, place all the ingredients for the spicy mint sauce in the food processor (or small blender) and puree until smooth. Heat a large skillet to high heat. Add both oils. Once the oil is smoking, add the shrimp. Salt and Pepper to taste and add the garlic on top of the shrimp. Sautee for 2 minutes per side, or until pink, then remove from the skillet. Add the cooked gnocchi to the remaining oil in the skillet. Pan fry the gnocchi for 3-5 minutes, stirring occasionally. Once the gnocchi are golden brown, but still soft, add the shrimp back to the skillet and toss. To serve, scoop some of the shrimp-gnocchi mixture onto a lettuce leaf. Drizzle the spicy mint sauce over the top, fold like a taco and enjoy! I just wanted to say that I would have never thought to combine these textures. these wraps were great! The Blue Stuffed Olive & Pancetta Potato Skin recipe sounds fun for my family. The Sun-Dried Tomato Chicken Wrap seems like an easy, but great snack/lunch entree. I would like to try the Italian Potato Salad recipe. My family would love the Crispy Lasagna Pizza. 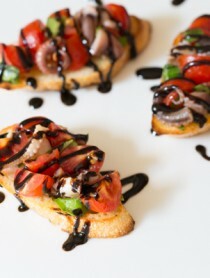 I would like to make the Sun-Dried Tomato & Brie Bruschetta. Pumpkin and Ricotta Stuffed Shells with Tomato-Basil Sauce… mmmm! the crispy lasagna pizza sounds amazing! I would like to try the Crispy Lasagna Pizza recipe. It sounds so different. I really want to try the Cheesy Stuffed Polenta w/Sausage & Tomato Basil Sauce! I have been wanting to try polenta on my family and this looks like a recipe they would actually enjoy! I love love their products. Purchase all the time at my local Krogers. I would love to try the Pepperazzi Peppers Stuffed with Sausage. The fava bean salad with pecorino recipe is perfect for spring and sounds super delicious! Yum! I can’t wait to try this recipes, as much as my guys love shrimp and gnocchi. 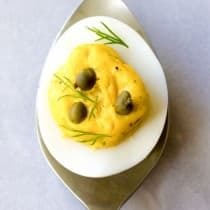 Also, I have been craving feta and olives, and the Delallo Garden Greek Hummus recipe sounds amazing! I’d like to try the Pasta e Ceci! Wow, you are the giveaway queen this week! Those are some of the more unique lettuce wrap ingredients I have seen, very creative! I want to make the artichoke bruschetta chicken! YUM! Basket looks amazing. Thank you for giving it away. The Garlicky Hot Pepper and Avacado Salad has my favorite ingredients! The Gluten-Free Sweet Pea Bacon Mac & Cheese looks delicious! The Creamy Dill Farfalle with Salmon recipe sounds light and refreshing! Would love to try it this Spring. Chicken pesto pizza looks tasty! I’d love to try the Garlicky Pesto Tuna Salad Wrap with Aglio Green Olives. Sounds refreshing for Spring. I love their pasta. I’ve been wanting to try more of their products. 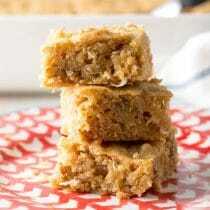 I’d like to try the Pumpkin Amaretti Tiramisu recipe–sounds delicious! The Gluten-Free Portobello Orzo with Lemon-Mint Cream Sauce sounds yummy! I would like the cheesy stuff polenta with sausage. These look amazing. I can’t wait to try them. mmm lasagna pizza. two of my fave things. Oh my goodness, what a clever recipe :) I love gnocchi but never thought to use it this way, looks yummy! I want to make the cheesy cheddar orzo with leeks and chard! I would like to try the Hot & Spicy Baked Shrimp. I would love to try the Whole-Wheat Penne with Kale & Toasted Breadcrumbs. Ooh. These wraps look so good! i like the idea of lasagna pizza! i think that would be a hit! Tomato-Basil Shrimp with Orzo sounds so good! I would like to try the Butternut Squash Risotto with Pine Nuts & Balsamic! Shrimp and gnocchi…I never would have thought of that but sounds great! I would love to try the Crispy Lasagna Pizza recipe, it looks delicious and the whole family would enjoy it on a Friday night! I want to make the Garlic Butter Capellini with Lemon Sea Scallops. That sounds so good! lasagna pizza sounds like something my family would love! I would like to make the Pasta Squares with Peas Soup! Pumpkin Spice Bread Pudding with Pecans & Balsamic Caramel – Sounds fancy with so many layers of flavors! I’m so in love with gnocchi, I can eat them any way possible. Love this creative little number you have going here! Lasagna pizza looks delicious…and very kid-friendly. The cheesy orzo sounds awesome. I don’t know how I can choose just one when everything sounds WONDERFUL. What an experience to have so many good treats to try. Hot and Spicy Baked Shrimp looks awesome…but, wow, there are SO MANY great looking recipe on their site! 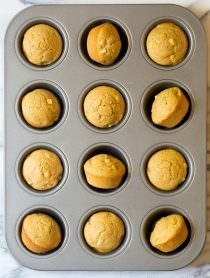 I could definitely do these for breakfast, no problem! Gorgeous flavors! I would like to try the Asparagus Risotto. I’d like to try the Weeknight Skillet Lasagna. Would love to win this package! I’m loving the recipe for the Creamy Parmesan Pesto Dressing. As for one of Delallo’s …. the Sun-Dried Tomato Stuffed Chicken with Sun-Dried Tomato Cream Sauce sounds fantastic! I’d make the Crispy Baked Balsamic Asiago Chicken. I would love to try the basil pesto sauce. O-m-g, this is genius! And I totally need to try it next time we make gnocchi! Cheesy Stuffed Polenta with Sausage & Tomato-Basil Sauce – sounds like a modern twist on lasagna! I would like to make the Chicken Carbonara Lasagna Minis. They look so goodand I love Delallo products and use them a lot. I would love to win this giveaway, thank you for posting it. This is an awesome basket! Thanks for hosting the great giveaway. I’d like to make the Pasta Squares with Peas in Broth. It looks like a fun soup. Can’t wait to try this gnocchi recipe. I’m a major fan of lettuce wraps. One of your many greats! Thank you for sharing. Lovely giveaway. I would like to try the Sun-Dried Tomato Stuffed Chicken with Sun-Dried Tomato Cream Sauce. I would like to try the cheesy cheddar orzo! Creamy Dill Farfalle with Salmon! The Minestrone alla Genovese – Vegetable Soup with Pesto sounds amazing. I love all the vegetables! I would love to try their Roasted Tomato Tuna Penne with Lemon and Olives! Shrimp gnocchi lettuce wraps alllll the way, girlfran! What an irresistible and intriguing combination! Also: spicy mint sauce? Can you just hand me a straw? Crispy Baked Balsamic Asiago Chicken – YUM!! Love the gnocci shrimp recipe, but also the hot and spicy shrimp. Anything with shrimp is my fave! Very interested to try the Golden Balsamic Vinegar! Hot & Spicy Baked Shrimp. They had me at “hot & spicy”. The Macaroni Salad with Creamy Parm & Pesto Dressing, sounds perfect for summer evenings! The Sun-Dried Tomato Stuffed Chicken with Sun-Dried Tomato Cream Sauce sounds delicious. Bacon carbonara with peas, hands down! Your lettuce wraps look divine, by the way! I would love to try the Italian Cabbage Soup! Great idea, Sommer. I love the idea of shrimp and gnocchi together – they are a perfect pair. Love the lettuce wraps! I want to try the shrimp topped polenta!! I most want to try the Hot & Spicy Baked Shrimp recipe!!! This is definitely a unique combo, but I love it!! I love to make all kinds of appetizers My favorite kind to make are pinwheels. The recipe that I would love to try out is the Cheesy Bruschetta Pinwheels! The recipe sounds yummy. Delallo is my favorite Italian Food Company! I would like to try the decadent looking Italian Chocolate Cream Cake. It combines chocolate, coconut, and hazelnuts. Shrimp gnocchi looks mind-blowingly delish! i want to try their recipe for Tiramisu because you can’t go wrong with liqueur, chocolate and coffee. Sun dried tomato chicken wrap! Awesome giveaway,I would love to try making Crispy Lasagna Pizza and Shredded Brussels & Roasted Chicken with Whole Wheat Spaghetti and on the sweet side the Ricotta Pudding looks delicious.Thanks for the chance to win. Garden Greek hummus dip! I absolutely love hummus! 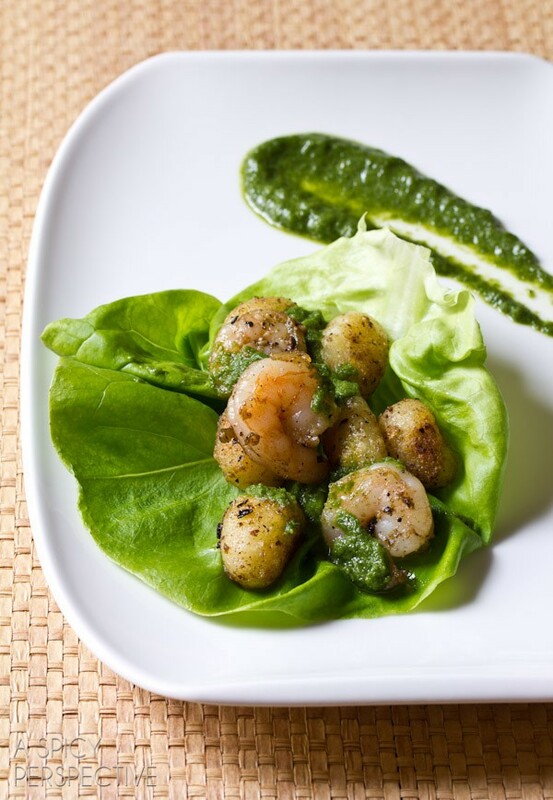 First, your shrimp & gnocchi lettuce wraps looks phenomenal! I would never have thought to make something like that! For the giveaway, I browsed the site and while a hard choice, I would most want to make the Chicken Carbonara Lasagna Minis…those look and sound awesome. I would really love to try Delallo’s recipe for Asparagus Lemon Ricotta Pasta. I have all the ingreduents and love any type of pasta with melty cheese. There is a reason for pasta and cheeses as comfort foods, its food of the Gods. Delallo products are fantastic and truly make it possible to create authentic italian dishes outside of Italy. I will have to try the Zesty Italian Wrap – yum! The bacon carbonara with peas looks delicious! Thanks for tehe lovely recipe and the generous Delallo giveaway. 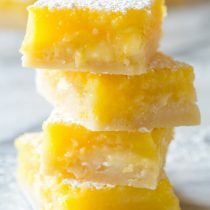 I’m a dessert lover so I want to make iced lemon olive oil cake. I really want to try the Stuffed Baked Eggplant Parmesan and the Stracciatella Soup. I would love to try the Sun-Dried Tomato Chicken Wrap! It looks delish and perfect for lunch! Sun dried tomato chicken wrap for lunch sounds wonderful. wow what a great basket. I love gnocchi! Sun-Dried Tomato Chicken Wrap sounds perfect for a nice Spring lunch! Ooooo, what a giveaway! I’d love to make the (gluten-free) Bacon a carbonara with Peas! the bacon carbonara caught my eye immediately! I am sure there are many other recipes I’ll enjoy from DeLallo. Thanks for the chance to win such goodies! I love Delallo pasta. Many new recipes to try over summer. The pumpkin tiramisu sounds fantastic! I would love to try the Garlic Butter Cappellini with scallops! Thanks for the great giveaway, Sommer! These lettuce wraps look amazing, too! The pumpkin bread pudding sounds good to me. What a beautiful apron! Love that basket! This soup Spinach & Cannellini Bean Chicken Soup with Orecchiette Pasta looks delicious! I’d love to the try Crispy Lasagna Pizza! What an unusual idea. I love that you actually put gnocchi into a lettuce wrap. I’m going to try this tonight! I love Delallo! I am currently addicted to their Gluten Free pasta! 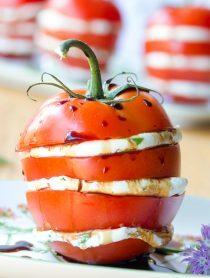 Love this imaginative recipe Sommer. I would’ve never thought to add gnocchi to a lettuce wrap but it sounds incredible! I’d love to try the Garlic Butter Capellini with Lemon Sea Scallops. Thanks for offering the giveaway. The garden greek hummus dip looks awesome! Thanks for the recipe and giveaway! I would like to try the Homemade Creamy Italian Dressing! The Whole-Wheat Penne with Kale & Toasted Breadcrumbs sounds great to me,, I’ve really been into Kale lately using it to replace spinach in alot of the dishes I prepare. thanks for this giveaway oppty. Will try Delallo products next time i am purchasing pasta. Iced Lemon Olive Oil cake! Lots of good ideas. The first recipe of theirs that I would like to try would be the Chicken Cacciatore with Tomato Basil Sauce. Is there enough time in the day to try it all? It all looks so yummy! The Crispy Baked Balsamic Asiago Chicken looks wonderful! The pumpkin spice bread pudding looks outrageous! I like their Greek Feta Stuffed olive platter. Thanks for the giveaway. The Crispy Baked Balsamic Asiago Chicken sounds really good to me. Would like to try that. Sweet Pea Bacon Mac & Cheese looks delicious! Love this! I’m craving lettuce wraps for lunch now! And thanks for the awesome giveaway. My favorite recipe is the italian strawberry rice pudding – YUM! I’m thawing some shrimp for dinner – now I just might throw it in lettuce! 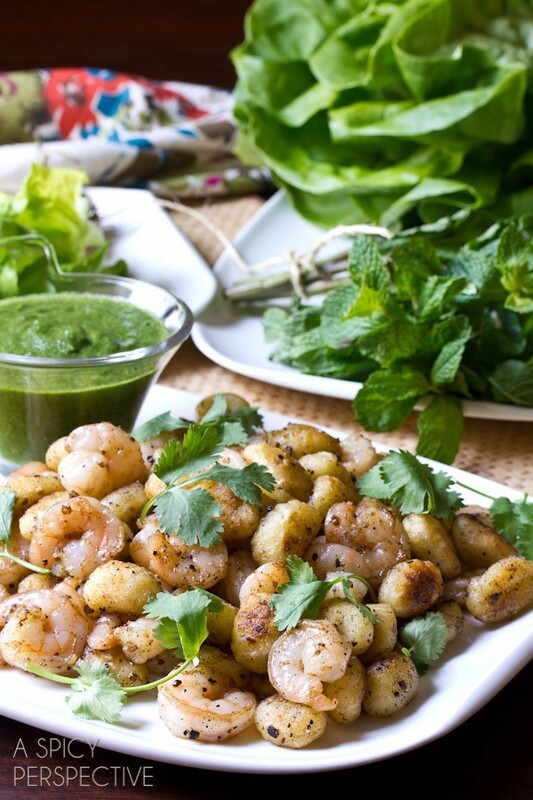 Seriously, this combines three of my favorite things, Lettuce Wraps, Shrimp and Gnocchi. It’s like you made it just for me ;) Can’t wait to try this! That apron is so stinkin’ cute! 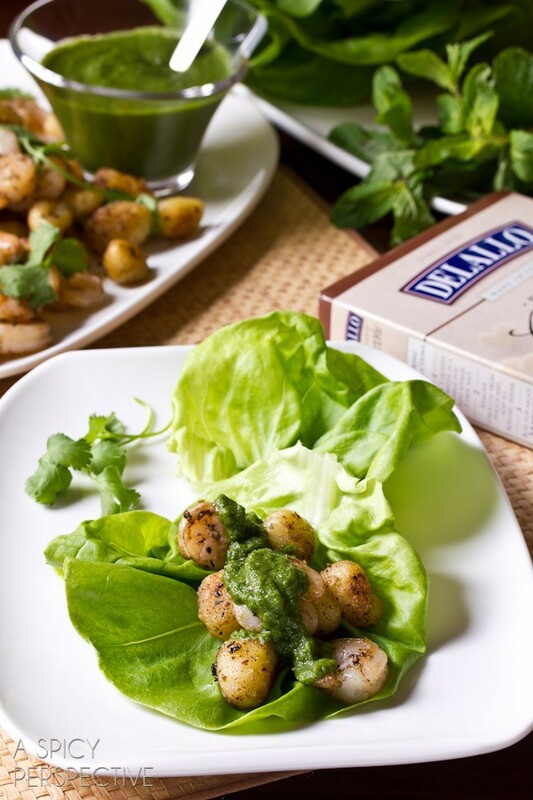 How incredibly creative Sommer – who would think gnocchi lettuce wraps! Oh…there are many Delallo recipes I want to try! This Cheesy Cheddar Orzo with Leeks & Chard is one of them….and I want to try your Lettuce Wrap Recipe with Shrimp Gnocchi and Spicy Mint Sauce too. It’s so much fun and packed with awesome flavors. Baked Lemon Dijon Drumsticks look great! I want to make Gluten-Free Chili Mac n Cheese Casserole. This pasta is great! I would love to try the Butternut Squash Risotto with Pine Nuts & Balsamic! This sounds incredible and I can imagine how tasty and delicious! Looks delicious! Love the shrimp! I want to try the Chicken Pesto Pizza recipe. I LOOOOOOVE pizza and pesto! Triple yum times eleventy! I love their products but can’t find them in Washington State. What an outstanding and very generous giveaway! My mid is already swirling with ideas for these awesome ingredients. And that apron? Too cute! I love everything about this, Sommer! Great flavor combo! I’ve never thought of gnocchi and lettuce wraps together but it sounds fantastic! Plus what a fun giveaway! I was the creative sibling in the kitchen but half my dishes where inedible. On the bright side though, it taught me how to step out of my comfort zone. I bet gnocchi taste great in these lettuce wraps! What a creative use of gnocchi! Would love to try their recipe for Stracciatella Soup. I would love to try the Whole-Wheat Penne with Kale & Toasted Breadcrumbs. Sounds and looks great! The DeLallo Pomodoro Fresco Spicy Arrabbiata Pasta Sauce looks incredible! What a unique flavor combo Sommer! Looks amazing, and less carbs is always better, right? ;) Great giveaway too! this spicy garlic chicken has my name written all over it! Yum, yum, yum! Looks so good, Sommer. Love that cute apron in the middle, too! I would never have thought of this EVER! so creative Sommer. I am with everyone else on the vodka sauce! Brilliant idea!! Love the gnocchi. And such a great giveaway too! These wraps are so so so gorgeous… perfect as this weather gets a bit warmer. Such a great giveaway! 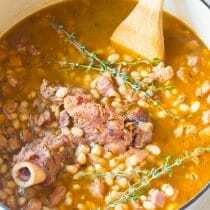 I can’t wait to try the greens and beans recipe from the Delallo website. Love Delallo’s! Their cheeses are amazing. Pasta with vodka sauce! You are a creator that’s for sure Sommer. I just checked out the recipes at Delallo and I’m drawn to the GF Bacon Carbonara – yum! What a perfect dinner idea Sommer! Yum! what a fun way to use gnocchi!! The whole wheat lemon fusilli with peas sounds delicious and perfect for spring! I LOVE this!!! The combination is absolutely perfect!! Your gnocchi looks perfect! I love how you served it up in a lettuce wrap! Awesome giveaway! I think today it giveaway day all all blogs! Love it! I the that the gnocchi’s are as you said crispy on the outside – and in a lettuce wrap, brilliant. Iv’e never made gnocci, but this recipe makes me want to try. What a fun giveaway! Love it all! I’d definitely want to try the stuffed polenta with sausage and tomato-basil sauce. That recipe looks like it’d be amazing. I would love to try the steak topped polenta!! That seems so interesting and different!! sweet pea bacon mac and cheese looks great!